Bollywood is a corridor of relationships and in Bollywood, relationships don't go for a long. Team India's hard hitting all rounder Hardik Pandya who was in the news for his dating rumours with actress Elli Avram is now once again in the discussions for his affair but this time she is not Elli. This is being told that these days Hardik Pandya is in talks with another actress and this actress met Hardik Pandya in a party where they both got into a long discussion. Now according to the reports the actress who has made her space in Hardik Pandya's heart is none other than hot and bold actress Urvashi Rautela. Recently Hardik Pandya reached to famous businessman's party and in the same party, Urvashi Rautela also came. Now, this is being told that they both that much closer to each other that they were not even caring of anyone in the party. Both met each other through a common friend and then they both engaged in eyes that they were looking for some space. 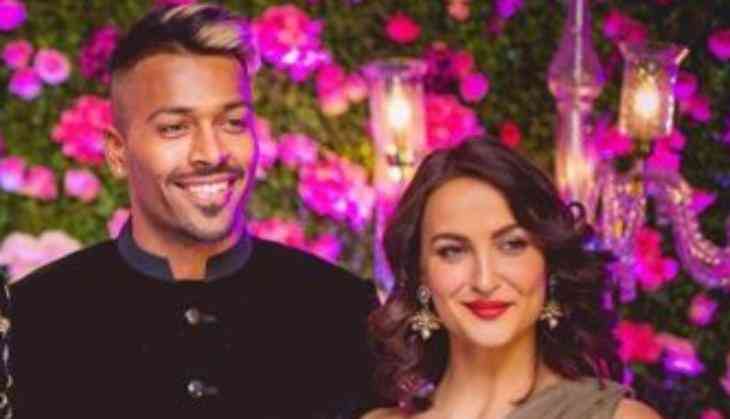 This is to notice that Hardik Pandya most of the time has been spotted with his rumoured girlfriend Elli Avram and their pictures from Krunal Pandya's marriage got viral also. However, they never discussed their relationship openly, on the other hand, these days Elli in Sweden with her family. Now, what is the reality of this report only Hardik and Urvashi knows because earlier also Hardik has been linked up with celebrities like Shibani Dandekar and Parineeti Chopra?